The harvest is here! It’s the greatest the earth has ever known. And the sound coming up from the fields is no longer the one from the sickles – it’s the sound of the combines! The church is in a major repositioning for this harvest. 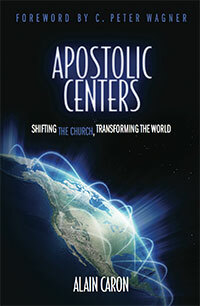 Apostolic centres are being created, networks are being formed, new wineskins are appearing. HODOS is one of these new vehicles. It’s an apostolic and prophetic network, a company of leaders for the 21st century. At the beginning of my Christian life I received a prophetic word from an old friend of God named Bob Birch. It was November 29, 1988. He was talking about what my life would become, assuring me that the Lord would give me the grace to discipline myself, place Him first and walk with Him. I’ve never forgotten one of the things he told me that day, “He’s going to give you companions, associates that will walk with you and you’ll be a strength to others.” HODOS is a fruit of that word – a fruit in season. The Christian world as we’ve known it is in quite a shift. We’re already at full speed and it wouldn’t be wise to step on the brakes. The best option to take the curve is to accelerate even more. The kingdom is straight ahead! Shifting the Church, Transforming the World! A SHIFT IS UNDERWAY… A seismic wave of revolution is about to shake our world thanks to the emergence of apostolic centers. 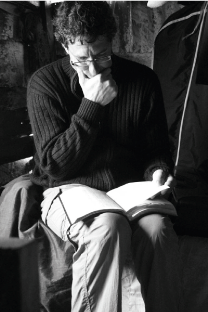 With the sage wisdom gained from developing his home church’s apostolic model, Alain Caron shares on how to transform today’s churches into dynamic training and sending centers.